​The American Brabant Association’s mission is to protect, preserve and promote the European Brabant draft horse in the Western Hemisphere. To Preserve and Protect - by providing a clearinghouse of breeder information, available horses and provide a network for interested people to learn about the American Brabant. To Promote – by showcasing the abilities, attributes and beauty of the American Brabant. 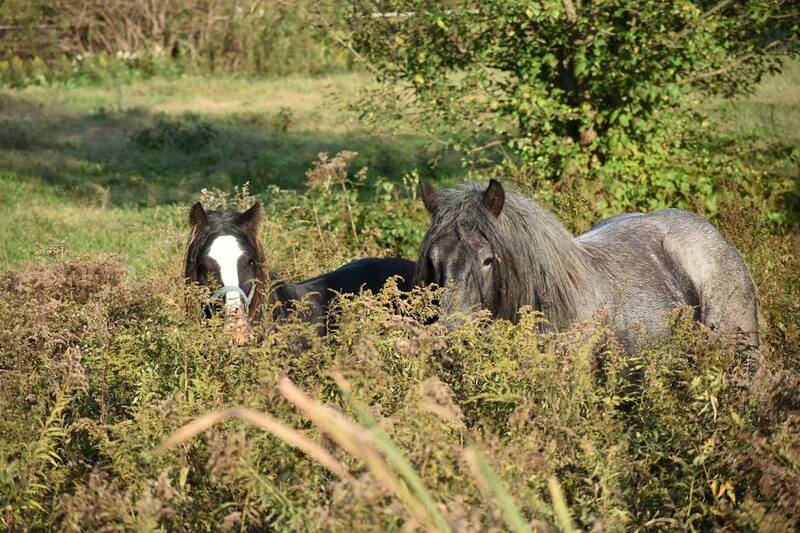 To establish, maintain and publish a registry for recording pedigrees of these horses. To preserve, improve and standardize the American Brabant Horse. 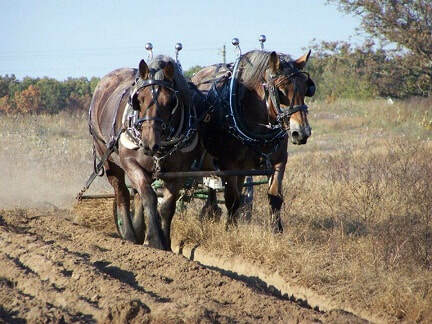 To protect, preserve and promote the European Brabant draft horse. 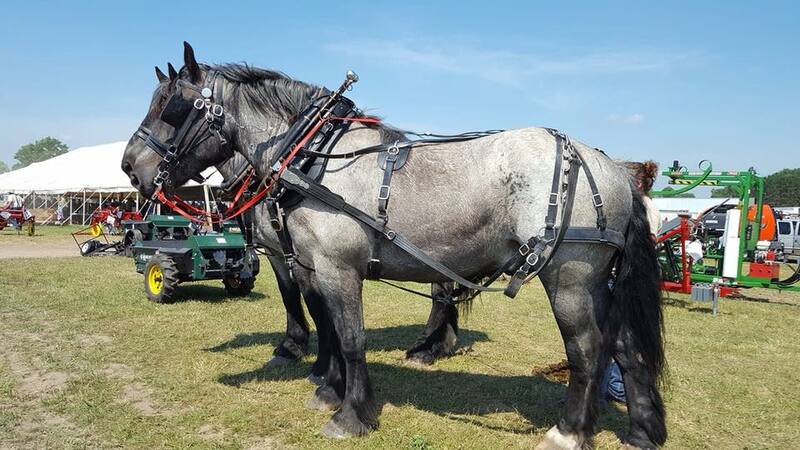 he Brabant draft horse is the foundation horse for the American Belgian, as well as several other draft breeds. Until about 1940, the Brabant and the American Belgian were essentially the same horse. 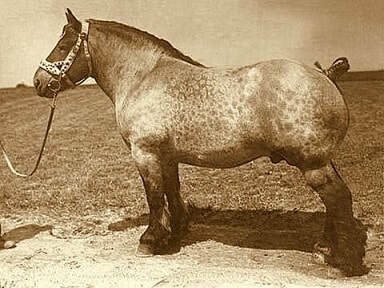 After World War II the Brabant was bred in Europe to be thicker bodied and more drafty, with heavy feathering on the legs, while in the United States the Belgian was bred to be taller, lighter bodied and clean legged. The Brabant is raised in several European countries and goes by different names, depending on the country of origin; however, they are all Brabant horses. In southern Belgium, the Brabant is called the Cheval de Trait Belge or Brabançon. In northern Belgium, the Brabant is called the Belgisch Trekpaard. In France it is the Cheval Trait du Nord, and in the Netherlands it is the Nederlands Trekpaard. The American Brabant Association was formed in 1999 in an effort to provide fellowship and networking for people interested in preserving and promoting the wonderful attributes of our horses. Between 1999 and 2012 members met and conducted the business of the Association at Horse Progress Days. The founding members were Tommy and Cindy Flowers, Karen Gruner and Colleen Michaels. In the early 1970’s Albert Stankowitz restarted importing Brabants from Europe eventually recruiting Anne Harper who imported during the 1980’s and 90’s, and then in 2001 Colleen Michaels put together an importation. In 2012 the Association started a major growth spurt with membership from across the US, Canada and Europe, to accommodate the growing membership rolls and fellowship as well as ownership of our association by all members, Membership meetings are now conducted by telephone conference with Annual Field Days for fellowship. Websites and Facebook pages were launched to augment the newsletters. In 2015 & 2016, it became clear that the demand for Brabant horses was increasing. Early in 2017, a special committee was formed to discuss creating a registry and what benefits a registry would have for these horses in the future. This registry is now documented in the ABA Handbook and complementary by-laws additions.